Yes making it from scratch and enjoying this is simply out of the world!..very nicely done Harini.. There is a constant struggle here too balance the spice levels! Hubby loves super spicy stuffs we like mildly spiced ones! Trying to achieve a balance is a struggle sometimes. And these momos look so good Harini and loved the filling. Feel like having some momos rite now, you nailed them prefectly Harini. 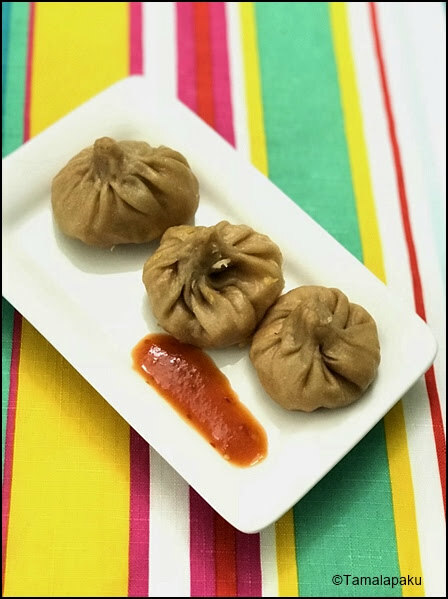 I would not mind these momos right now, looks very good. On a rainy day like today, a spicy dip and momos sound perfect. hey same pinch. For Day 2 of this week, we have made similar recipes :-) I love these wholewheat option anyday ! I love momos and your wholewheat wrapper recipe sounds absolutely delicious. 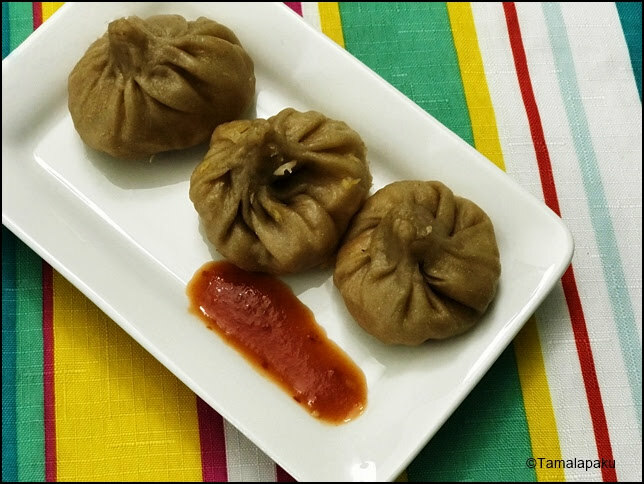 Perfectly shaped momos. I too prefer making these with whole wheat at home. 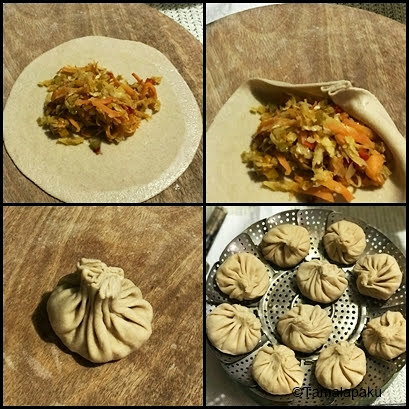 That is a tempting momo and love that you have used whole wheat flour. they look fantastic - shaped perfectly~!